According to law, only the Philadelphia Mint could strike one-cent pieces and nickel coins, and the Philadelphia Mint had a hard time keeping up with demand. 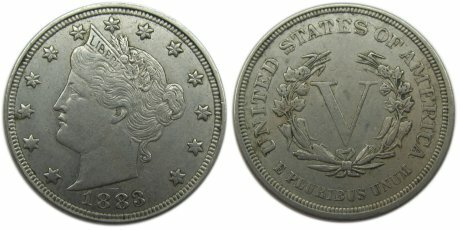 Each successive Mint Director kept trying to convince Congress to change the law, and in 1906 the Denver and San Francisco Mints were finally authorized to strike cents and nickels — although it took six more years before the first nickel coins were actually produced at either one of these Mints. In 1912, one of the first nickels from the San Francisco Mint was used by the San Francisco mayor to pay his fare to celebrate the first trip of that city’s new streetcars. The last official Liberty Head Nickels were struck in 1912. By this time the Treasury Department had embarked on a mission to beautify the nation’s coins, and the Liberty Head Nickel was one of the coins that had been marked as old and tired. 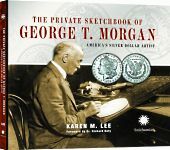 At the Mint Director’s request, Charles Barber prepared a design for a new five-cent piece (featuring George Washington) to replace the Liberty Head Nickel, but that design was never approved. James Earle Fraser’s Buffalo Nickel was adopted instead. Even though the Liberty Head Nickel officially ceased production in 1912, in 1919 and 1920 a coin dealer named Samuel W. Brown announced that he had in his possession five genuine Liberty Head Nickels with a 1913 date. There have been many conflicting stories and theories as to why these coins exist — especially after it was revealed that Brown had once been employed by the Mint. There are only a few things known for certain about these coins: they are genuine, they are very valuable (one was auctioned in 1994 for almost a million dollars), and they continue to be objects of great interest to coin collectors and coin historians. Filed under Coin History, Liberty Head Nickel.